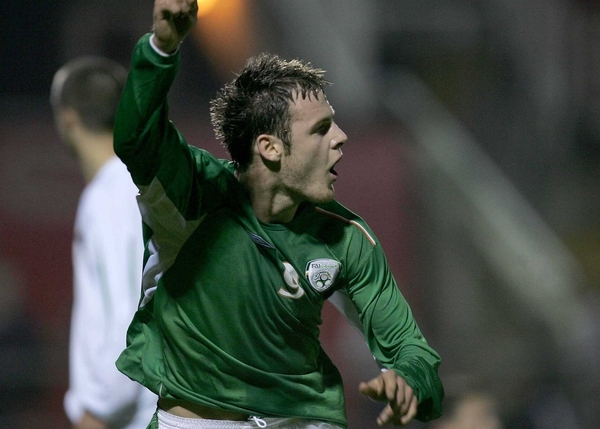 Teenager Anthony Stokes admitted Roy Keane's ambition persuaded him to quit Arsenal and join Sunderland in a £2million deal. Stokes, 18, has signed a three-and-a-half-year contract at the Stadium of Light. He shot to prominence after a spectacular loan spell at Bank of Scotland Premier League outfit Falkirk earlier this season, which yielded 16 goals in 18 games. The loan ended on January 2 and sparked a race for his signature among several clubs - but Stokes opted for promotion-chasing Sunderland. 'I spoke to Roy Keane about everything, he told me his hopes for the club, and it made up my mind,' said Stokes, who could make his debut this weekend against Ipswich. The teenager became the first player to fire back-to-back hat-tricks in the SPL after netting three against Dundee United and then Dunfermline in October. The Republic of Ireland Under-21 striker becomes the fourth player to arrive at Sunderland since the transfer window opened. He joins Carlos Edwards, signed from Luton for £1.4million, goalkeeper Marton Fulop from Tottenham and Jonny Evans on loan from Manchester United. Keane, whose side lie three places adrift of the play-off places, said: 'I'm delighted that Anthony has decided to join us. Stokes made his first-team debut for Arsenal as a substitute against Sunderland at the Stadium of Light in the Carling Cup last season, replacing Arturo Lupoli in the 88th minute.